This view of an autumn day drawing to a close over the San Francisco Peaks reminds me of the times I have bid farewell to Flagstaff, watching the peaks grow small on the horizon. 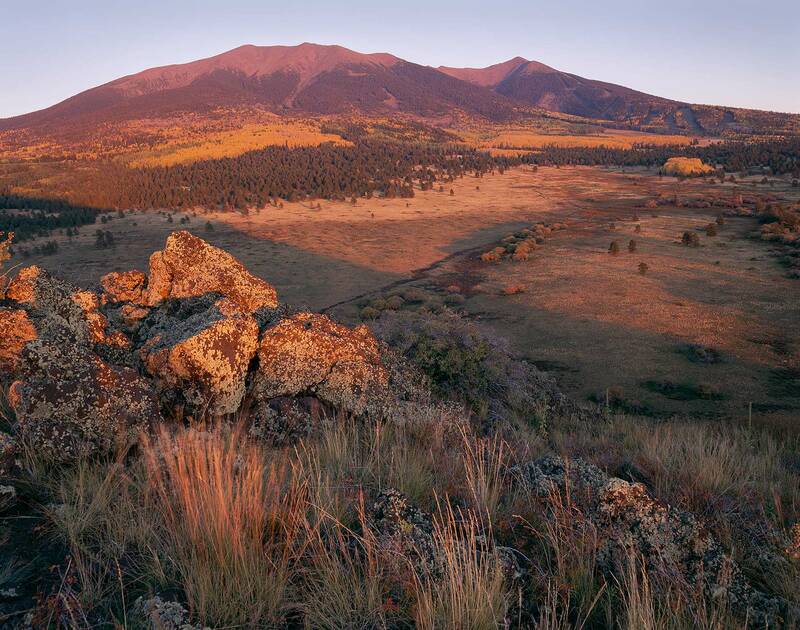 To me this is a montage of the Coconino Plateau: tall peaks and volcanic rock, forests and prairies, aspen and ponderosa pine, wild rose and mullein. All under clear sky. All things I remember, when I have gone away.